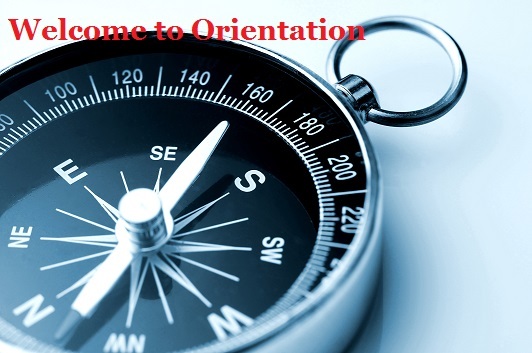 Beyond “Thoughts & Prayers”: How About Some Orientation? I have always loved orientation days. As I write this, I’m on the cusp of my latest orientation: GA Co-Moderator Orientation with Denise in Louisville today and tomorrow. Look out, people. We are getting new PCUSA email addresses. Information brings power. I like knowing where the restrooms are located. I like knowing what’s expected of me. I like having access to calendars and phone numbers. As we still reel from Dallas and Minneapolis and Baton Rouge, I – like many – are frustrated by merely offering our “thoughts and prayers” for victims and their families. As many preachers noted last Sunday, the Good Samaritan did more than offer “thoughts and prayers” to the beaten man on the side of the road. I’m wondering if we need to be – or to seek out – orientation counselors. Please note: this is not an opportunity to offer mansplanations to “those people.” Please, no. Or maybe our only contact with people who are Not Like Us is through media where each of us – on any given day – can find ourselves at a march in Dallas or a parking lot in Baton Rouge or a campaign rally in Portsmouth, NH. These opportunities to visit unfamiliar places and explore new worlds and meet new people require some effort though. Now more than ever, we need effective orientation. What seems confusing to us might become understandable if we learn about the history behind the culture. What makes us judge-y when we watch news reports might be understandable if we knew the norms and customs of the hometown crowd. We live in a world full of unfair judgments and destructive mythologies and it’s killing us – sometimes literally. We’ve “heard things” about (a person, race, ethnicity, religion, gender) but we actually don’t know what we’re talking about until we have firsthand conversations and personal experiences. There’s quite a bit of misinformation out there about human beings with whom we share a planet who might look/worship/speak differently from the way we look/worship/speak. Imagine allowing ourselves to be oriented according to what the-already-oriented can teach us or show us. Imagine serving as someone else’s Orientation Counselor – not like the know-it-all OCs who lord over their experience, but like the ones who help you carry your mini-fridge up three flights of stairs.